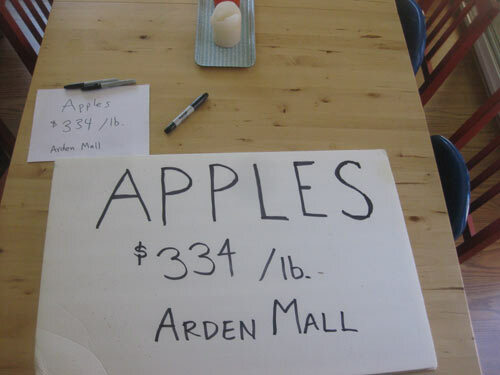 For a long time, I've wanted to put up some fake produce stand signs. 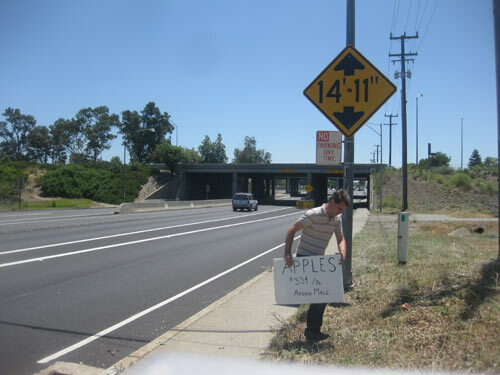 Every spring along highway 80 near Davis, giant 4x8 foot signs sprout up, advertising fresh pears or corn from the central valley. But my inspiration for this prank came from a misunderstanding between Instance podcasters Randy Jordan and Scott Johnson. One of them was talking about the Apple store, and the other assumed he was talking about a store selling actual apples. So I took that confusion and figured apple signs would work perfectly. I ran with it. 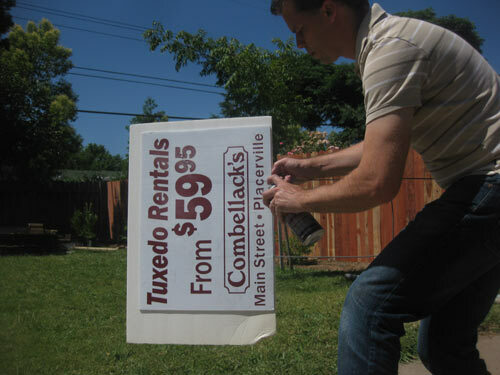 The first step was to glue some new foamcore onto some old coroplast signs and make some crude hand-lettered signs. I only made two signs. Any more and the sharpie fumes would have knocked me out. 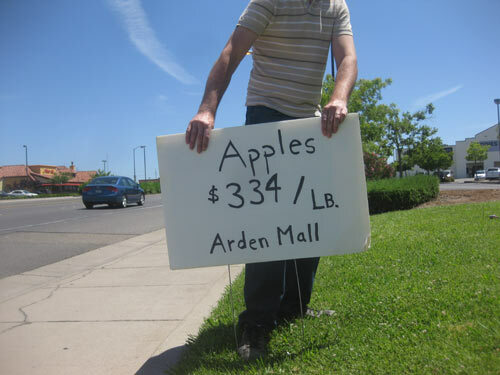 The first one went just west of the Arden Fair Mall, home of our Apple Store. 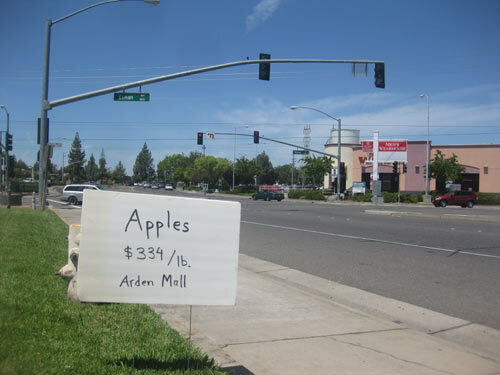 I put the second on Alta Arden, east of the mall on the back lawn of the futon factory. 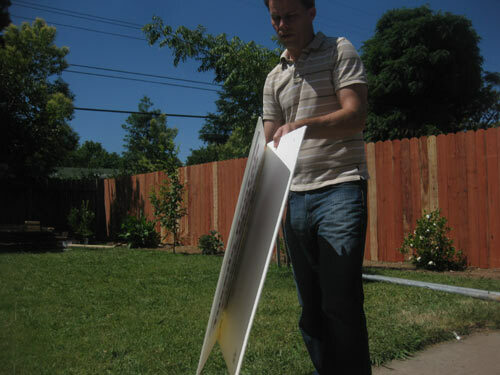 I aimed for squares of ambiguous property rights, where perhaps the signs would last more than a day. 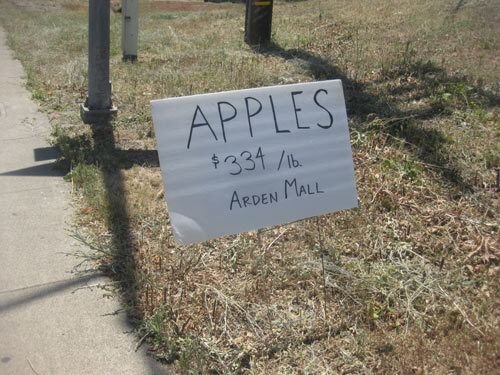 I hope they sell some apples!